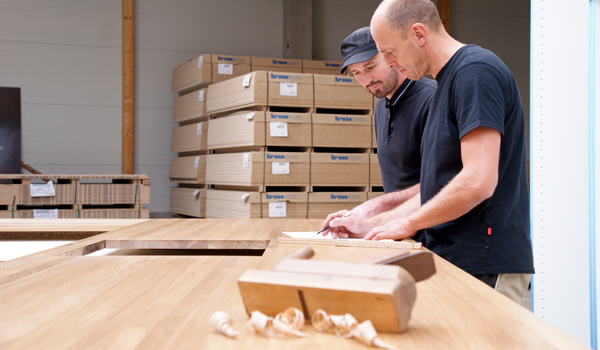 ur team of highly skilled personnel, with years of experience, are responsible for the production of shop furniture. The training and education of skilled young team members ensures that the “know how” is contained and expanded within the company, and is an important part of our business philosophy. 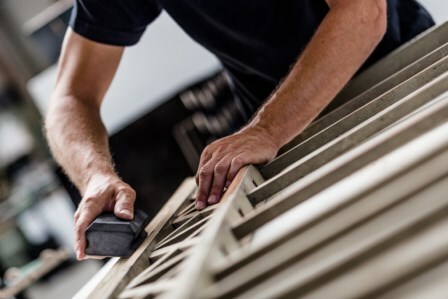 Whether wood, synthetic- or other materials, precise and efficient cutting are key elements in the production of shop furniture. An industrial panel saw, directly connected with the department for technical drawings, calculate the optimal use of raw material, to minimize waste and ensures accuracy. Individual Shop Systems require high flexibility in the production. 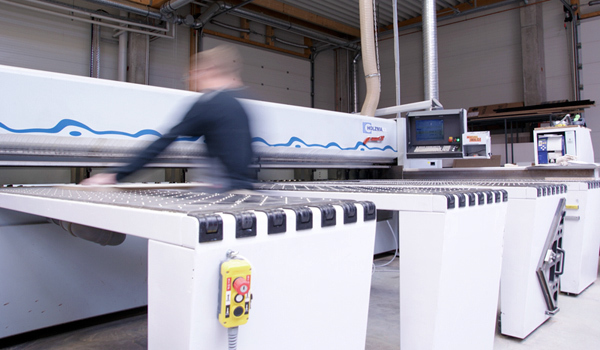 Beside the conventional machines, our CNC machining centre is the ideal tool for creating individual furniture. The CNC machining centre works with minimal margins of error and thus guarantee that the single pieces fits perfectly together.